There's no better way to make a big change for a small amount of money. And you can do it yourself. If your kitchen or bathroom cabinets have become worn, a fresh coat of paint can do wonders for the space and save thousands of dollars in replacement costs. Painting your entire exterior can be expensive but sprucing up the trim can have a huge effect on the exterior appearance of your home. Look at the areas around the windows, doors and garage. Any chipped or peeling areas can be easily sanded and repainted. Trying a new color is an extra way to change up the look and feel of your home. Replacing the whole door can definitely put a dent in your wallet. Sand down any cracks and splash a fresh coat of paint on it and voila, a brand new door for a fraction of the cost. Take a look at some other elements of your house like lighting and landscaping. It might be time to change your exterior light fixtures to something more modern. Try uplights to showcase your home or add some fresh flower pots to the porch for an instant lift. Something as simple as changing out an ugly old toilet can take away the little stresses that are dragging down your home. 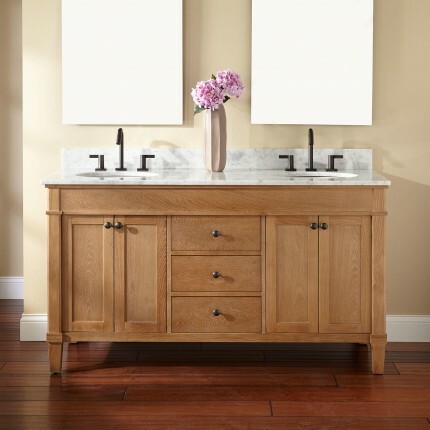 A fresh new vanity will instantly transform the look of your bathroom. Though plumbing is something typically left to the experts, if you're game (and up for a workshop or two) you can easily do it yourself. New lighting will add instant sparkle to your space. Pendant lighting is definitely the more stylish way to go but if there's something you prefer go for it. Your space should above all feel like you. A close in kitchen can make your space feel cramped and claustrophobic. Removing the wall between your kitchen and living area can change the entire feel of your home. But be careful - make sure you're not dealing with a support wall, taking it out can be much more expensive and dangerous to the structure of the home. If you can't knock down the wall altogether, creating or enlarging the pass-through from the kitchen to living area can give a similar feel. Sometimes that's all it takes to change the feel of a room. And it doesn't have to be expensive. Try adding a new couch or a statement headboard. Check out the flea market for some unique, statement pieces. Can't afford new furniture? Changing out the cover can make it look brand new. Dressing your walls can have a dramatic effect even if everything else remains the same. Do you have dark heaving window coverings making your space feel small and dark? Go for layered curtains that allow better light control and add texture. Flooring can be quite pricy. Souring materials and pitching in to do it yourself can keep the cost manageable. A new floor - especially a product like a wood-look tile - may be enough to completely transform your space. A great rug can turn a worn floor into a happily covered one. If you can cover up the offending areas - anywhere stained and scratched - it can feel brand new again.